Updates coming soon! We have not had an open call for new clients this year, but we are happy to provide consultations when if an individual slot opens up. Please contact us for general questions by email (info@reniece.com) or phone (301-605-3460). 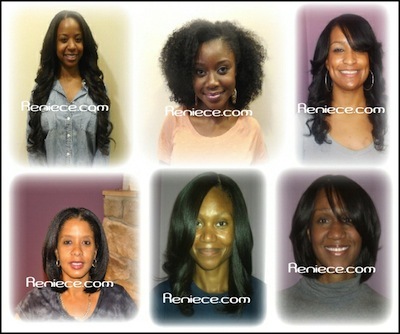 For all appointment requests (for existing clients) for Reniece, Breon, Shannon, or Shamira, please email appointments@reniece.com. In the meantime, you can watch our video about Onyc's super versatile Fro Out hair! Start thinking about what hair you want to use for your protective style. Sign up to receive website updates including information about client openings. A non-refundable deposit of $80 will be required to secure an appointment with a junior stylist. Deposits are now $80 for all new clients after 10/11/13. It will be required in the form of cash or money order and must be received within 4 days after booking the appointment. Deposits are required for each weave appointment. Please make money orders out to Reniece & Company. Please do not mail in a deposit without receiving a confirmed date first. Thank you! We are primarily accepting new clients who wish achieve healthier hair with the help of protective styling - hair weaves. We are most concerned with the health of your hair first, then the style. When you come in for a consultation, we will assess your hair to see what you may need during your Healthy Hair Makeover. We will also let you know if we feel that you are not a good candidate for a weave as well. Not everyone's hair is suitable for a weave. A deposit of $120 will be required for ALL appointments (all weave services, shampoos, and non-weave services) for all clients. 72 hours notice is required for all cancellations. A non-refundable deposit of $120 is required to secure your appointment. The deposit will be applied to the total cost of your service on the day of your appointment. It is due immediately after booking the appointment. The deposit for your very first appointment must be made by postal money order (mail-in) or cash (drop off in person). Do not mail your deposit without hearing from Reniece first -- At that time, you will be schedule a tentative appointment. THEN you can send off the money order. Appointments will not be held without a deposit. Please note that deposits are non-refundable. When booking your appointment in advance, you have 3 to 4 business days to have your deposit mailed in or to drop it off in person. If your deposit is not received after 4 business days, your name will automatically be bumped from the schedule. You can rebook at a later time if you choose to. 72 hours notice is required for all cancellations, otherwise the deposit becomes non-transferable and it serves as the cancellation fee. 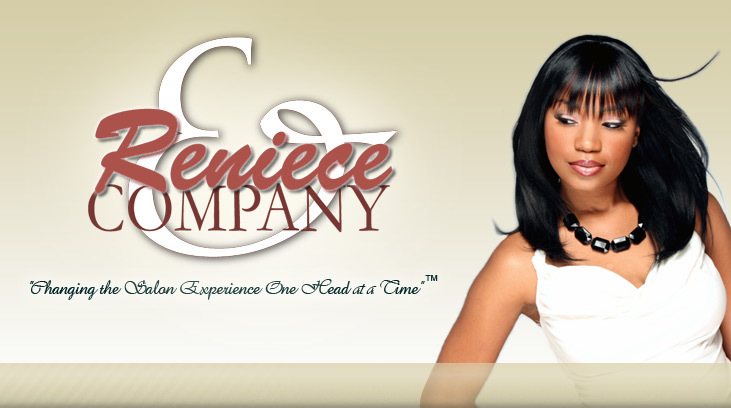 - If on the same day or day before you decide that you'd like to have a shampoo service instead of the weave redo service that you initially booked.